As promised, this is a follow up to my previous post full of carbon monoxide facts relevant to people with multifuel and woodburning stoves. This article is more about the practical side of the issue - how to prevent problems with carbon monoxide, the warning signs to look out for and the use of carbon monoxide alarms. Installation of a multifuel stove isn't rocket science, but it does have to be done right to make sure that the flue system is sealed and draws fumes up the chimney away from the woodburner as it should. It is best to use a professional HETAS registered solid fuel stove installer, but if this isn't possible then you should register the installation with your building control office and they will send a building inspector to check everything is okay. You can prevent seepage of gases through your chimney breast by installing a flue liner. 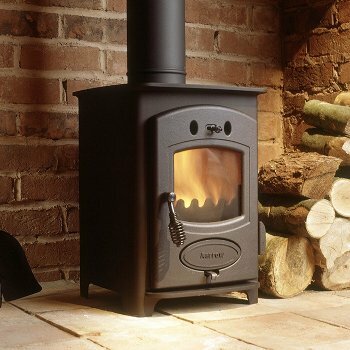 If you are using a stove which is connected to an unlined chimney, it is a good idea to have the chimney tested regularly to ensure it is still sound. If you use a professional chimney sweep they should be able to do this for you at the same time as sweeping the chimney. If you often get downdrafts (where air is forced down the chimney by strong winds), you can fit an anti-downdraft cowl to the top of your chimney. Look out for signs of possible problems such as excessive condensation in the room, and sooting and staining around the multifuel stove or woodburner. If you are burning wood or coal you should be concerned if you see any sign of smoke coming back into the room (other than when opening the stove door to refuel), however remember that if you are burning smokeless fuel there would be no visible sign of fumes being returned into the room. Be aware of the symptoms of carbon monoxide poisoning, and take medical advice if you think you may be affected. Early stages of carbon monoxide poisoning are similar to flu symptoms such as nausea, tiredness, headaches, dizziness, stomach or chest pains. If you experience these symptoms when near the stove but feel better when you are away from it, this is a clear warning sign. Install a carbon monoxide detector in the same room as the stove (UK Building Regulations now require this when a new or replacement multifuel or woodburning stove is installed). The best carbon monoxide detectors are the battery operated type which have an audible alarm rather than relying on you to remember to check a visual display. They will continuously monitor carbon monoxide levels even if there is a power cut, and sound a loud siren if there is any problem. Stores Direct are leading UK suppliers of multifuel and woodburning stoves, with many years experience advising customers on all aspects of stove use. Please feel free to call us on 01484 434320 if you need help or advice.